Taking offers on some of my extra vintage biggy smackers from the 1970s era. If you’re seriously interested in purchasing one, please email admin@bunnycookie.com – mentioning what flavors you are looking for would be helpful! The scents have turned on mine but I still remember loving Golden Butter Cream and Crystal Wintergreen. It’s a bit bittersweet thinking back to these old sets, isn’t it? I’m sorry about my extended absence the past couple of months! I know a lot of you have been wondering where I am and why I haven’t been reviewing new products or responding to comments. 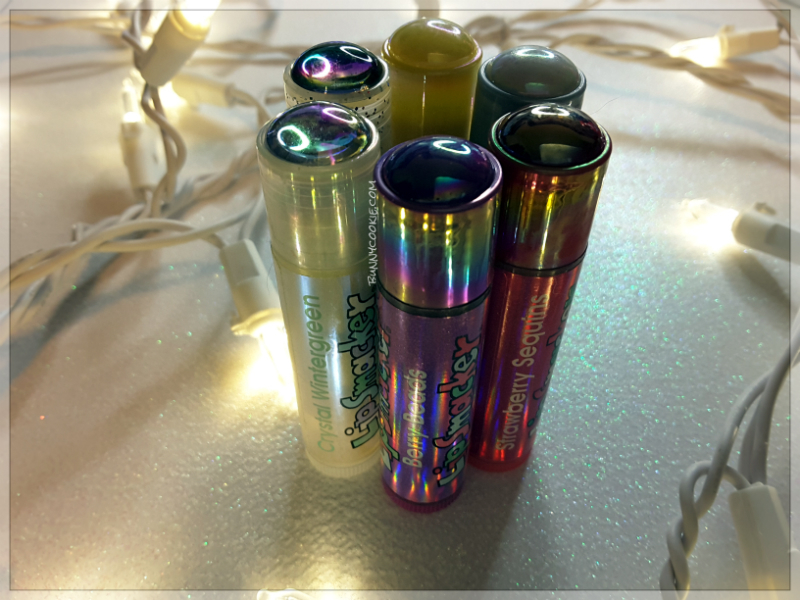 After much thought, I’m sad to say I will no longer be reviewing new Lip Smackers on Bunnycookie. This brand means a lot to me but I am no longer passionate about it post-Bonne Bell’s ownership. Quantity: The collections they’re churning out have gotten way too big. You may remember me complaining about the 20+ smacker Easter set this year. That’s far too much for most people and it discourages collecting. Instead of finding holiday releases exciting I started to dread them due to the sheer volume. 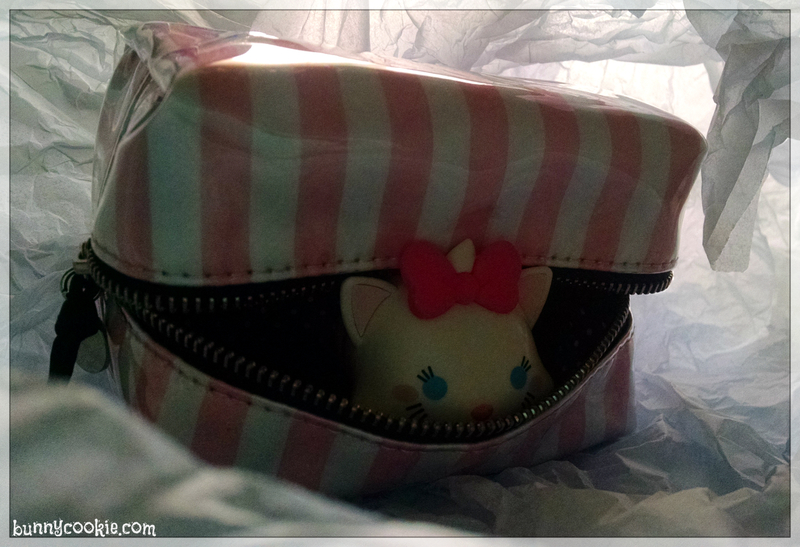 Sure, I could be pickier about what I buy but I’m a completionist and I like to review the full set on the blog. I don’t want any more Disney products. I don’t want another Marshmallow Treat. I don’t want to pay for new art on old flavors. Quality: Formula changes, loose caps, mismatched tubes, weak scents, the Peppermint/Cin Sugar debacle, Smoochie Club not fulfilling orders, flavor reveals that never happen (Pink Lemonade biggy, Oatmeal Cookie), the list goes on. The rotten cherry on top are the Chinese-made tinned balms and dollar store collections, both of which indicate declining quality. No thanks. Mission: Bonne Bell didn’t just make lip balm, they were beacons of their community; they provided jobs (and to a demographic often ignored: senior citizens), supported health initiatives, and provided fantastic, small-town style customer service until the end. There was a ton of heart in that company, and growing up I always connected with and felt represented by the brand. Despite smackers insane popularity, the company never felt mass marketed. It paid off too; rarely do you see this type of brand loyalty. Rarer yet is honesty from a corporation. That about sums it up. I don’t mean to bash Markwins, they’ve supported blog contests and sent me products in the past to review which I greatly appreciate. 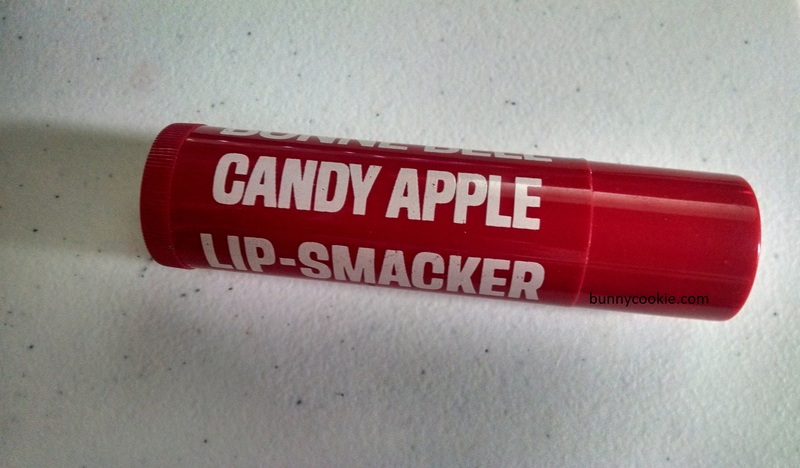 The truth is I would be saying this no matter what company acquired Lip Smackers, even if the transition was perfect and they were releasing flavors I’ve only dreamed of. Ultimately my passion for the brand stops with Bonne Bell, it just took me awhile to realize it. As for the blog? There will be updates but it will only be older smackers from now on. The comment system will be the same as usual; everyone is welcome to discuss old and new smackers to their heart’s content. I’m so sorry BC won’t be your source for new reviews anymore. I’ve met a lot of collectors and made a lot of friends and I love you guys! Who knew something like lip balm could mean so much to so many people? It is! 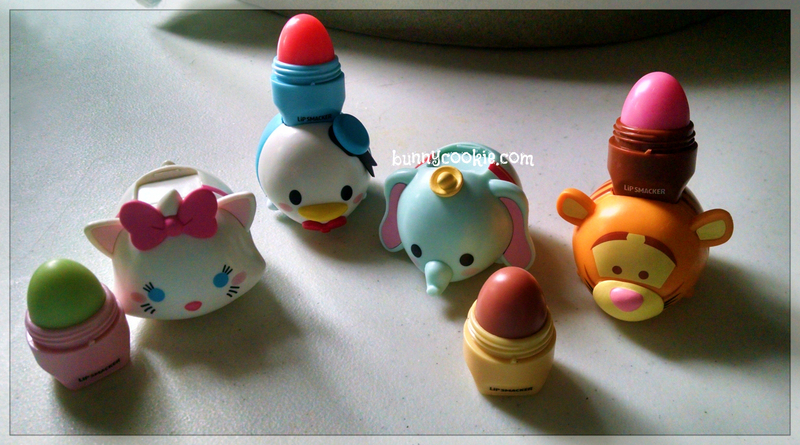 The new Tsum Tsum Lip Smackers are here! And they might be the cutest yet. 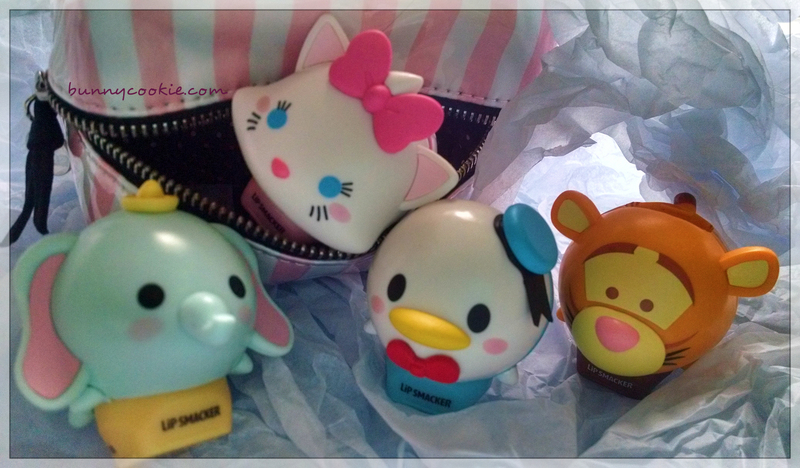 We have the sweet kitten Marie (from the Aristocats) in Love in Pear-y, a hoppin’ Tigger in Bouncy Bubble Gum, an adorable Donald in Jelly Quackers, and an all too precious Dumbo in Peanut Butter Shake. Dumbo’s little hat, trunk, and rosy red cheeks make him too cute for words, but his Peanut Butter Shake flavoring falls a bit short. I don’t pick up on much peanut at all! It’s a bit more of a burnt caramel if anything. A circus peanut flavor would have been a home-run here. 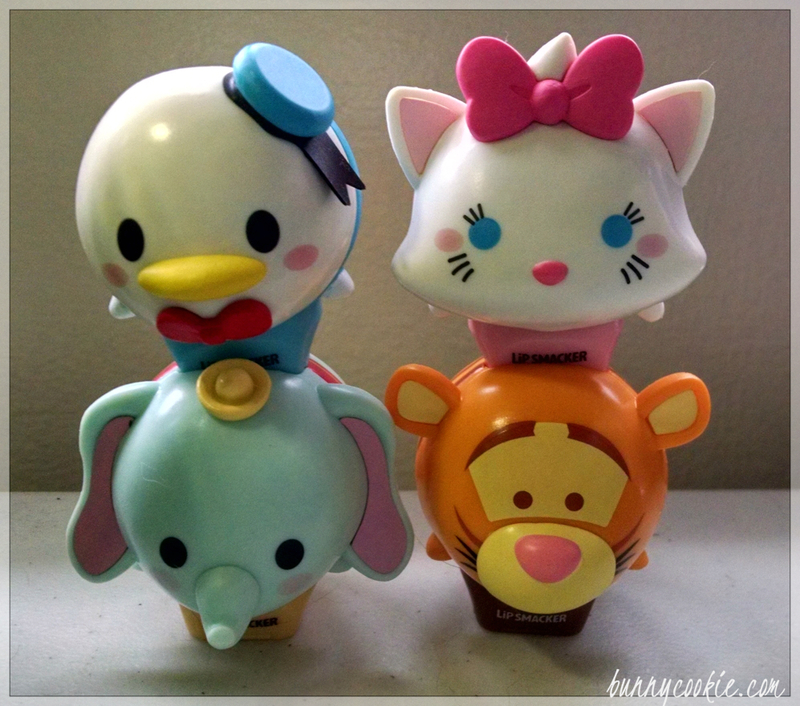 Lip Smacker always does justice to their bubble gum flavors, and Bouncy Bubble Gum pairs perfectly with Tigger. The formula seems a bit more mild initially but then the classic scent comes through. And if you’ve liked the recent cranberries LS has put out, you’ll enjoy Jelly Quackers. The first note is similar to the burnt scent I picked up in Dumbo’s flavor, then it transitions into cranberry. I do actually like the ‘burnt’ scent, even though I can’t really identify it, it’s a nice change from the cookie filler every other formula had. 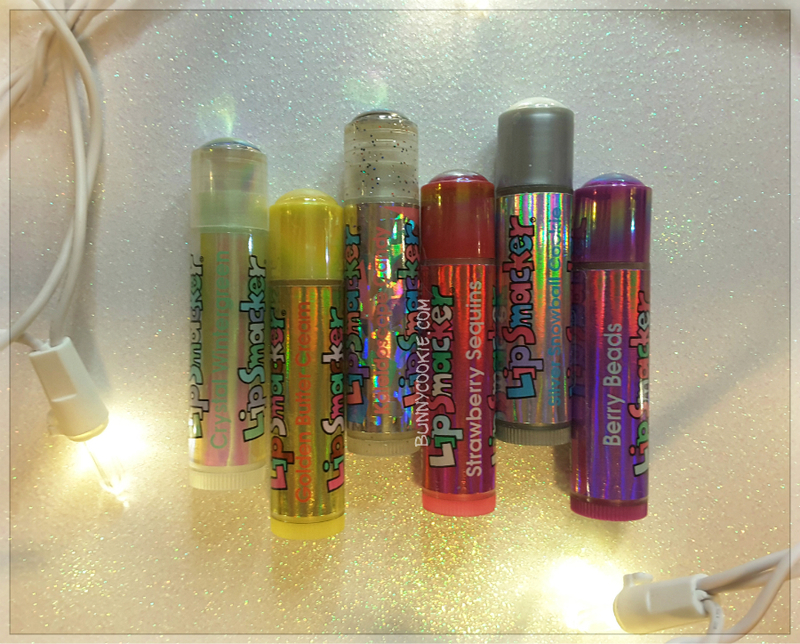 These will be available in stores this July and on Lipsmacker.com in August! Hope everyone has an awesome 4th of July! 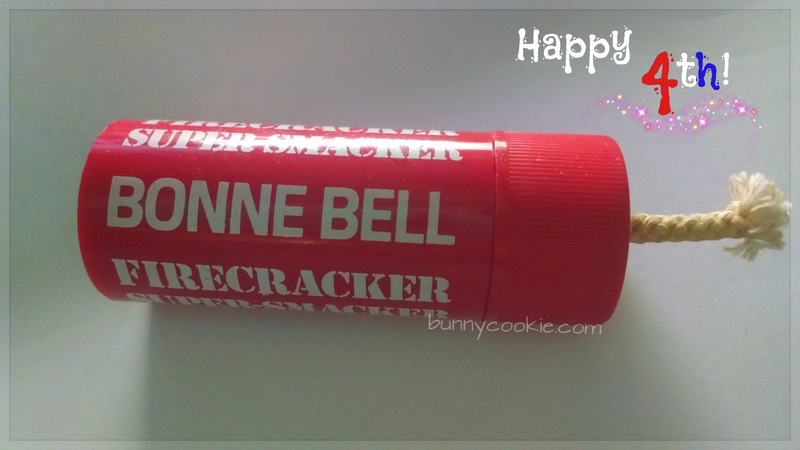 Here’s a fun throw back: the Super Smacker in ‘Firecracker‘ flavor (a festive way of saying strawberry 🙂 ). It’s shorter than other biggies but much fatter, with double the amount of balm (1.15 oz)! Maybe that would have lasted all summer…? The firecracker theme is perfectly done and really shows how smackers of that era went all out on their flavors and designs!